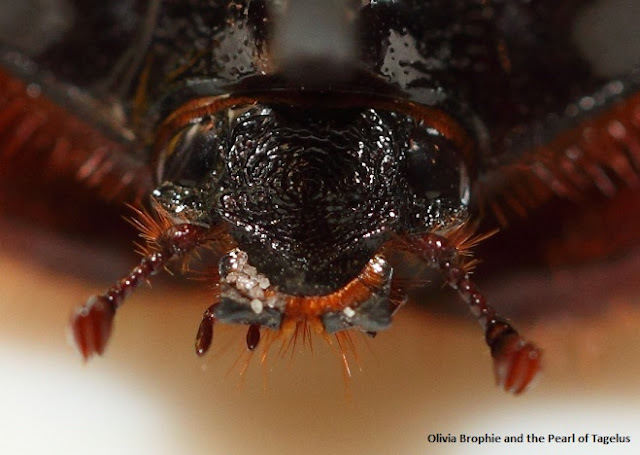 You may remember my post on raising Ox Beetles. I thought I'd share some nice photos of a major male. The white grains that look like sugar are actually quartzite sand grains that are common in Florida.